Whaaaaaat? Beymax scares you?! BE HE IS SO SWEET AND CUDDLY. I had no idea he was English! Robin Williams touched so many lives, including mine. I’m glad they gave him a proper tribute. One. Baymax is awesome. I think you’d love him! Two. Rami Malex is so stinking cute and needs to do more!! Three. HUGE ACKMAN!!! Four. Steve Coogan and Owen Wilson make the best team! And Five. This is my favorite of the Night at the Museum movies and the end left me crying as I am currently coming to terms with the whole ‘what am I going to do now that I’m out of school’ aspect of my life. Wonderful movie! Everyone tells me that! Maybe I should give him a chance. And yes, Rami is the cutest. I need him to be in more. It was a fantastic movie. I was laughing out loud the entire time except the very end. Then I was bawling my eyes out. Baymax is just so sweet! And I agree that Rami should be in much more! 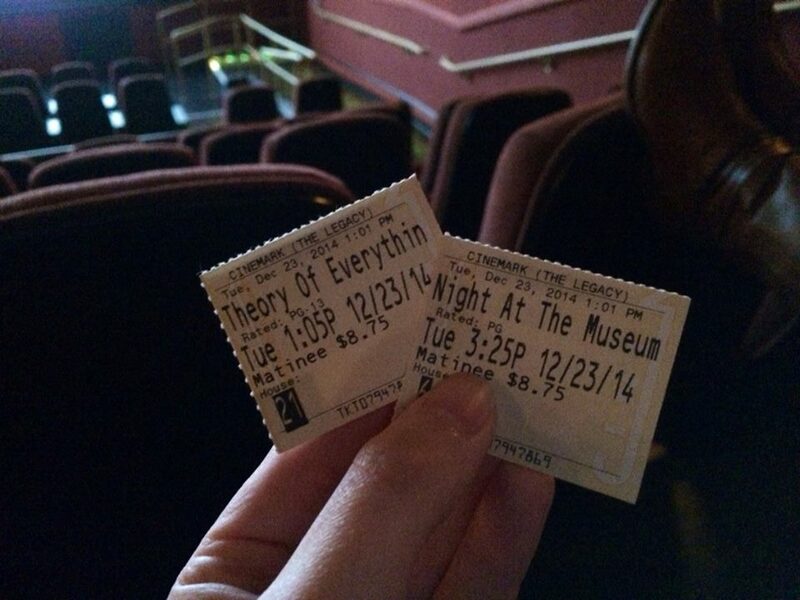 We ended up watching Unbroken, Night at the Museum 3, and Into the Woods. All were wonderful! And thank you for the positive reinforcement! I keep moving forward, which is a good thing, and hopefully my future will just work itself out!